So different compared to the other timepieces of the brand, the Mare Nostrum was the first chronograph model created by Panerai for the Italian Royal Navy. 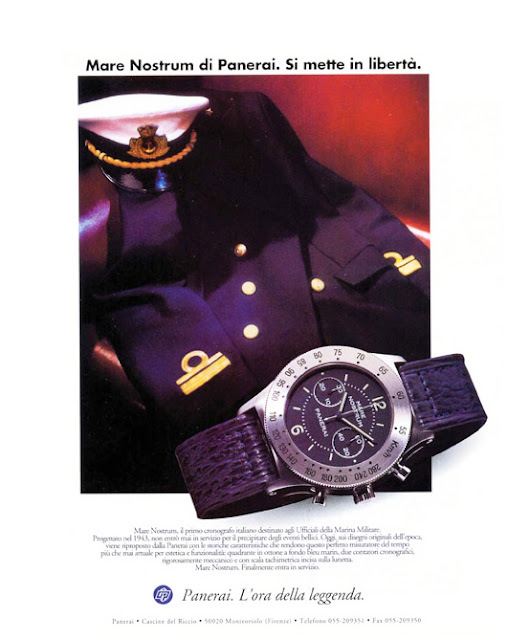 According to some experts, the first prototypes of this watch appeared in 1943 and were intended for deck officers of the Royal Italian Navy, but they never went into production. 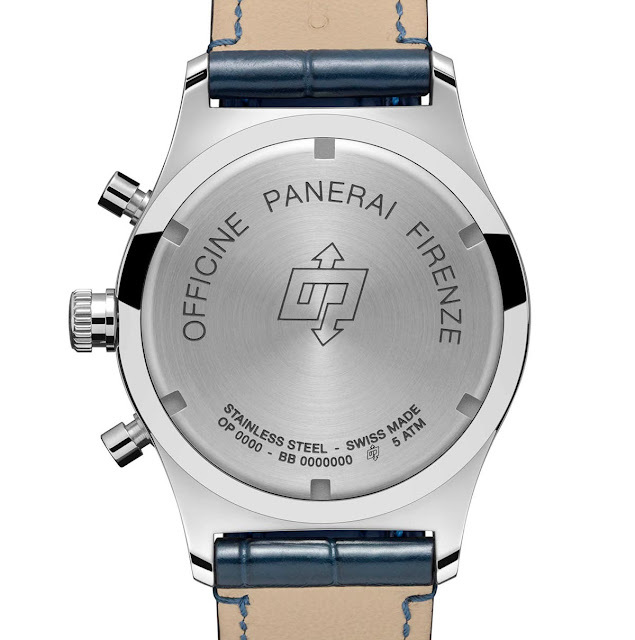 On the basis of the limited documentation which survived the flood in Florence in 1966, Panerai created a first re-edition of the chronograph in 1993 (ref. 5218-301/A), when the brand presented its first collection for civilian use. This 1993 model had the same design and functions as its predecessor but it also had some differences, resulting from the desire to make the watch more portable, and also because of the lack of information available about the 1943 prototype. In particular, the AISI 316L stainless steel case was 42 mm in diameter instead of 52 mm, and it was fitted with a broad, flat brush-finished bezel engraved with the tachymeter scale in km/h. 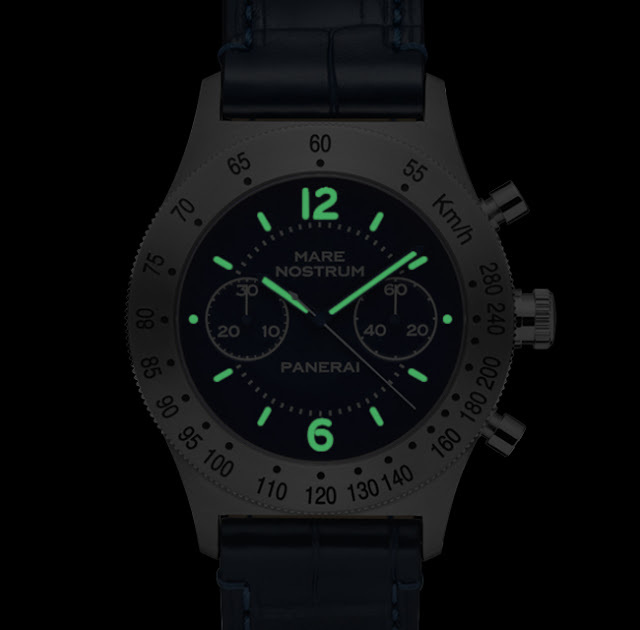 Officine Panerai is now releasing the new Mare Nostrum Acciaio 42mm PAM716, a 1,000-piece limited edition which is directly inspired to that 1993 re-edition respecting features and measures. 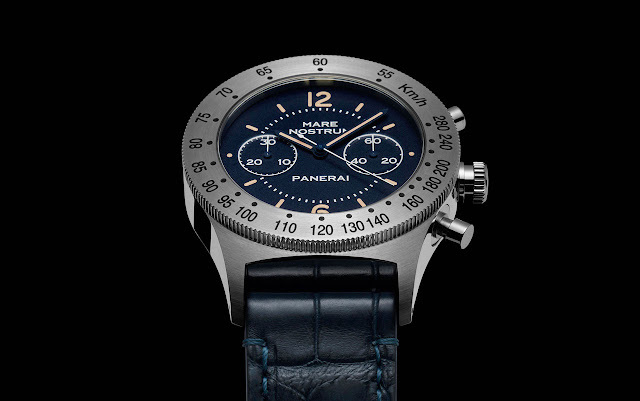 The dial of the new PAM716 is a deep blue, like the alligator strap which comes with matching stitching and a sewn-on steel buckle. 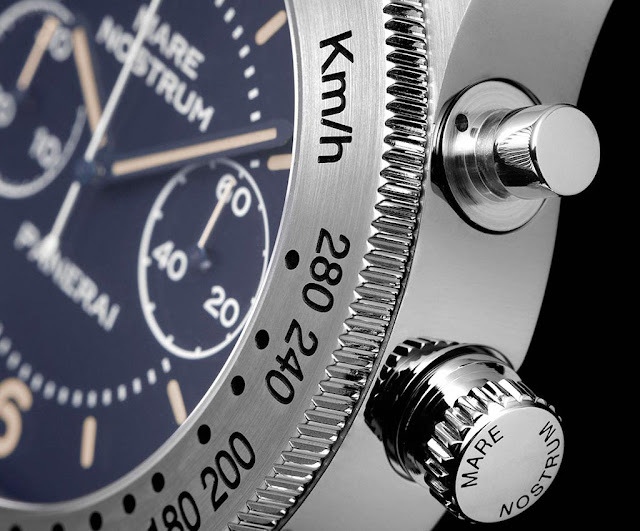 The chronograph minute counter is at 9 o’clock while the small seconds dial is at 3 o’clock and the chronograph seconds hand is centrally mounted. 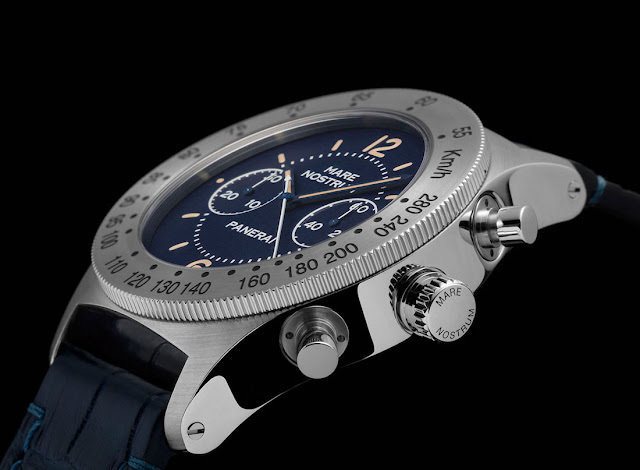 The engraving on the dial and the markers coated with beige Super-LumiNova ensure excellent legibility while following the distinctive Panerai aesthetic. The screw back is personalised with the inscription Officine Panerai Firenze and the OP logo engraved upon it. Water-resistance is 5 bars (about 50 metres / 165 feet), the same of the 1993 re-edition. The new Mare Nostrum Acciaio 42mm uses the same movement as the pre-Vendôme model: the hand-wound OP XXXIII calibre, created and personalised by Panerai on the ETA 2801-2 base with a Dubois-Dépraz chronograph module. 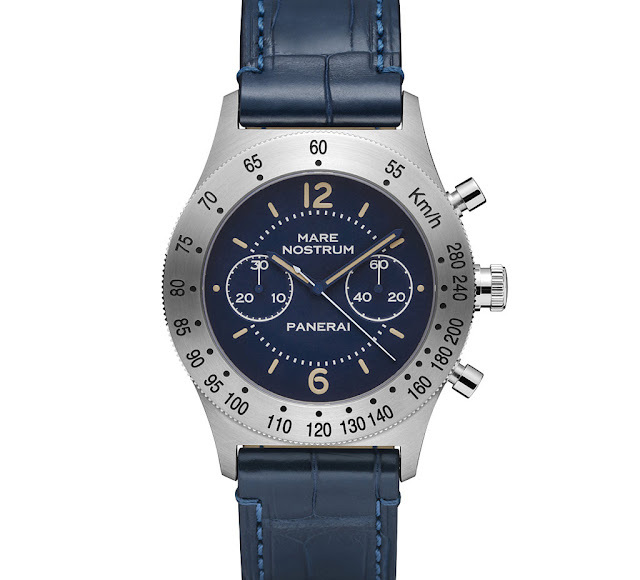 Offering a power reserve of 42 hours, the movement is COSC (Contrôle Officiel Suisse des Chronomètres) certified.